Are you sick of wasting your valuable free time on household chores, instead of relaxing with your friends and family at Lake Houston or Sheldon Lake? Why not get in touch with That’s Clean Maids, the best cleaning referral service Atascocita, TX has to offer, and kick back while the best cleaning professionals deal with that pile of chores? 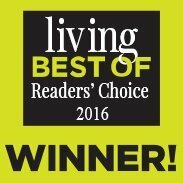 We’re a locally owned cleaning referral agency in Atascocita, TX. We care about our community and want to make it better by making it cleaner and its people happier, one house at a time. This goal is at the heart of our business philosophy, which is why we take great care to do our job thoroughly and with love. 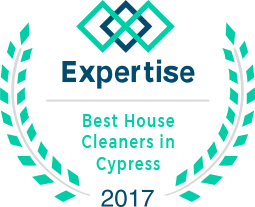 Book one from the vast range of premium cleaning services in Houston today and see what makes us the best in the business of referring professional cleaners to Texas homeowners! It takes countless hours to keep a house spotless! Fortunately, choosing a custom-made cleaning package is a breeze. Flat rates, hourly rates, no contracts! Nothing but pleasant surprises because our goal is to meet and exceed your expectations! Our focus is YOU. Customize your cleaning just the way you want it and your favorite cleaners will do the rest! Atascocita is truly one of the most beautiful places in the world, and well worth inviting friends and family to. But what if your house is a mess and you simply don’t have the time to deal with it before your guests arrive? No problem! Reach out to That’s Clean Maids, the best house cleaning referral agency in Atascocita, TX, and let the best in the cleaning business make your house sparkling clean for you in no time! Moving house? 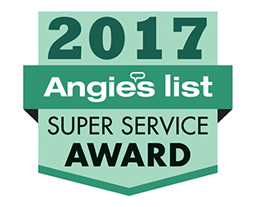 Why not use top-quality move in cleaning services in Magnolia, move in cleaning services Hockley, move in cleaning services Kingwood or move in cleaning services in Humble? We’ll come right out and say it: cleaning is annoying to most people. It can get nasty, or outright uncomfortable if you suffer from dust allergies, or have back or knee problems. More than anything, it often feels like a waste of your time. This is where That’s Clean Maids comes in. Turn to professional cleaners we'll refer to you and allow them to handle all the cleaning for you. The service we offer to our clients comes with a 100% satisfaction guarantee! Do you need regular cleaning, or a one-time job? Are you moving to a new house and want it thoroughly cleaned first? Are you a business owner whose offices need to be kept in perfect condition in order to leave the best possible impression on potential clients? Whatever your needs, the cleaners we refer have got you covered owing to their extensive catalog of cleaning services! 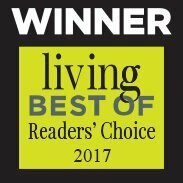 Superior quality house cleaning services have never been easier to come by! We only team up with strictly vetted, experienced and insured cleaners you can trust! We make hiring house cleaning help as easy as ordering a pizza! We charge after the cleaning is done and the client is satisfied. Our pricing is transparent and free of hidden fees. We care about your feedback! You will be able to rate each job via an online form. We want to keep improving and we want you to be satisfied! We take care to answer every email and phone call. Whatever problem you may have, we’ll be there to help you with it.